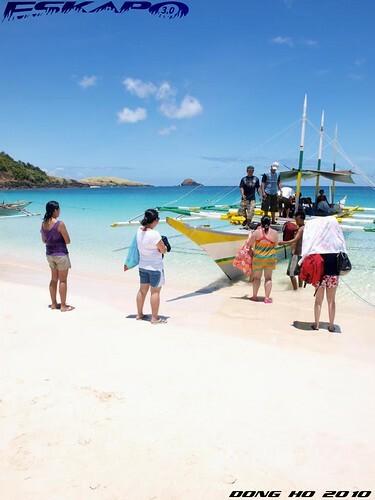 it came to the point that we have to leave Tinaga island of Calaguas and it has never been easy to leave a place that you loved. the only beach that ive been to twice in just a month. this is Camarines Norte's gem. the first time i left this island, i ended up kissing the sand. a thing i've never done to any of the beach that ive been to before. 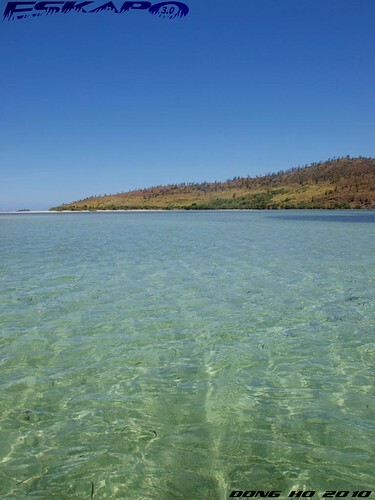 and the sparkling clear waters in Mahabang Buhangin beach is something every visitor will never forget. 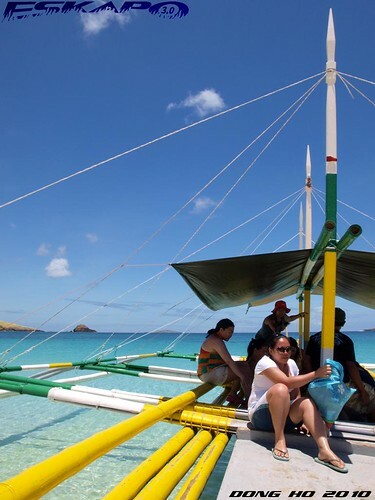 but you cannot end your visit in Calaguas without dropping by the other islands. with this batch, i chose to bring the group to Pinagcastillohan island which i saw from a satellite view showing a long stretch of cyan-colored sea shore. 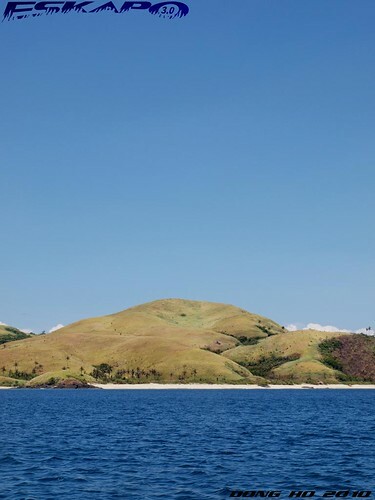 a short 15-minute ride Southeast of Tinaga island leads to more scenic views of Calaguas' island hills. 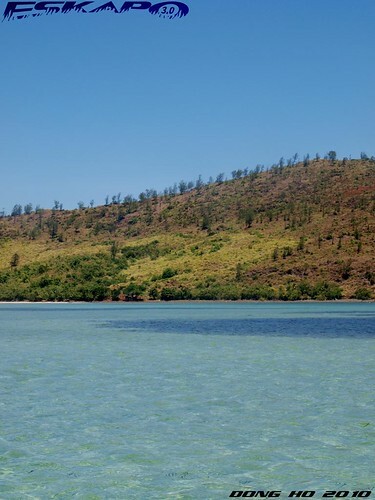 expect to see other less explored beautiful shorelines and beaches while hopping from one island to another. when we reached the other side, the long stretch white sand beach can be seen even from afar. it is here where one can find an extremely wide hip-deep beach area during low tide, where the big boats can hardly dock. 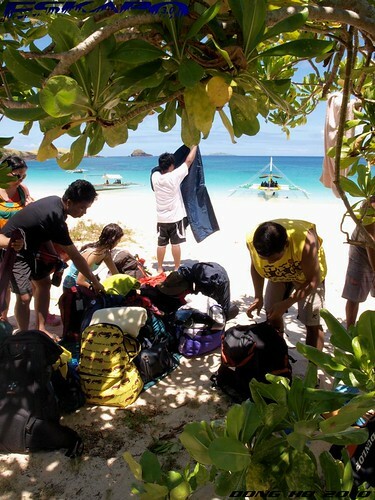 since the island is already private, we just jumped from boat and had the whole area just for the our group. 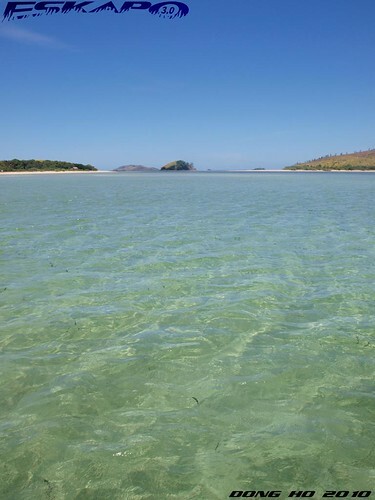 it is actually one of my favorite water pool-type beach of Calaguas. but beware of those sea grass areas where most sea urchins can be found. so kayaking is a great option. this is not a usual stop because the area is already private but we were fortunate enough to have the chance to drop by on a really nice weather. so don't be surprised if within this year, you'll find me visiting these islands again. kissing the sand, parang iba yan ah. so whote nga and i can say you relaly love the islands not only the calaguas itself. ive heard of this place, eto pala yun.. ang ganda din. di talaga matatawaran ang ganda ng lugar na ito...teka...yung sa bandang hulihan, bakit private? >redlan, i love these islands that much. >hi chyng, yes. hindi ganun ka linis yung tubig kasi malaki ang area ng sea grass. the dark areas in the last three photos are sea grass. but it's still a nice area to play beach games. >everlito, may mga may ari na daw. most of the islands here are already managed by them. >bengbeng, i believe your country is as beautiful. you just have to explore more. but visiting our country will be great! let me know. 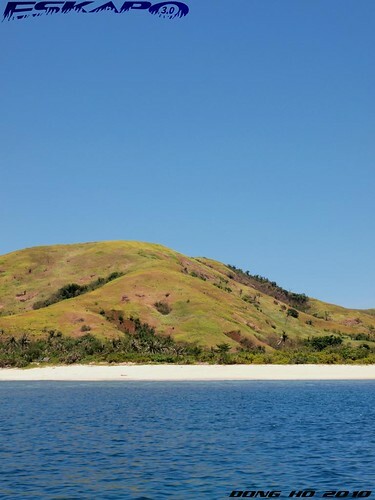 ...by the way, is there any development in the area which would facilitate access into CALAGUAS? 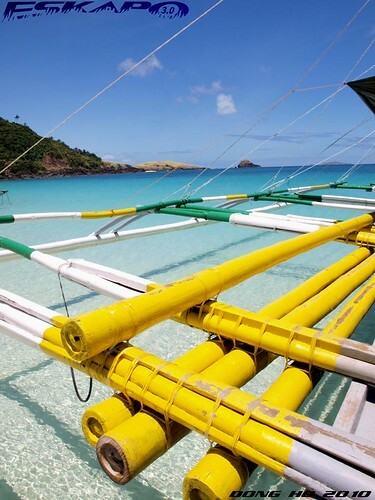 the sand, the water, blue skies, yellow banca--all gorgeous! Nice view of the islands. Perfect photography! 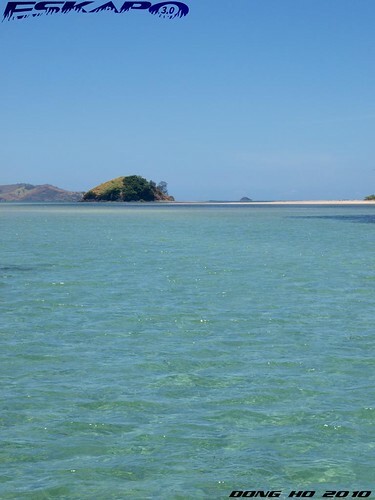 ako din, feeling ko if i go there, i'm going to have a hard time saying goodbye to the island. Totally wonderful. I would love to be there. The island is really beautiful. The water is really so crystal clear. Nice photos. I have almost finished posting my Vietnam tour, a few more posts to go...lol. oh my grabe naman talaga ang ganda! kahit ako siguro di ko na maiisipan bumalik pa ng maynila sa ganyan kagandang isla!! as in! Fantastic beach, clear water with marvellous colors. Really a nice place for an unforgettable holiday. It's so beautiful. No wonder that you kissed the sand!